Press Release: Dynamite Entertainment, a leading publisher of English language comic books and graphic novels, is proud to announce their partnership with Ian Fleming Publications Ltd. (IFPL), the company that owns and administers the literary copyright of Ian Fleming's published works, including his fourteen James Bond books. Under their agreement, negotiated by Jonny Geller of Curtis Brown, Dynamite has been granted worldwide rights to publish comic books, digital comics, and graphic novels starring 007, Fleming's iconic secret agent will re-live the exploits that have thrilled and captivated fans for over half a century in fresh visual adaptations of the classic Bond stories. Moreover, Dynamite plans to create a series of brand new adventures unveiling the defining - and largely undocumented - early years of Bond's career. These new stories will draw inspiration from the Fleming canon to explore Bond's 'origins': his raw early years before he gambled with his life in the first novel, Casino Royale (1953). Some other familiar faces from the expansive 007 mythos will also make appearances in this series - criminal masterminds, hired henchmen, glamorous Bond Girls, and secret service allies - alongside all-new characters. Corinne Turner, Managing Director of Ian Fleming Publications, says, "It's over sixty years since the publication of Casino Royale, and now more than ever it's an exciting time to be a Bond fan. We're thrilled that 007 will be revisiting the world of comics, as Fleming's novels have a long and successful history in this medium, ever since they began to be published as newspaper comic strips in the late fifties. Dynamite are the perfect partners to take on the challenge of continuing this legacy, and we are very much looking forward to working with them." "In the journey of discovering new readers for Ian Fleming's classic Bond stories, we are delighted to be partnering with Dynamite in exploring different ways to broaden the audience. Visually and literally, James Bond will have a new face," says Jonny Geller, Joint CEO of Curtis Brown. "Ian Fleming's James Bond is one the best-known characters in the world, yet we know very little of his background and beginnings," says Editor Mike Lake. "The Bond villains are some of the most memorable figures in popular culture. Where did they come from... and in some cases, where did they go?" "James Bond is one of the greatest cultural icons in the world. His author and creator, Ian Fleming, was not only in touch with popular culture in his time, but also saw ahead of his time, and his written work will outlive us all," says Nick Barrucci, CEO and Publisher of Dynamite Entertainment. "The character, the structure, and the source material is so strong. The original prose storytelling serves as the basis for one of the most successful film franchises ever, a franchise that reinvents itself to be in tune with each generation. By doing so, it allows the character to be an ever-progressive pop culture phenomenon, one that energizes existing fans and engages new fans, thus helping to ensure that Bond's relevance and importance will live on forever. The high-octane action, the charm, the unquestionable allure of this man of action - it all stems from Ian Fleming. We're excited to build upon the author's source material with new canonical stories, and honored at Dynamite to be a small part of his legacy, to be able to bring new stories to fans around the world." 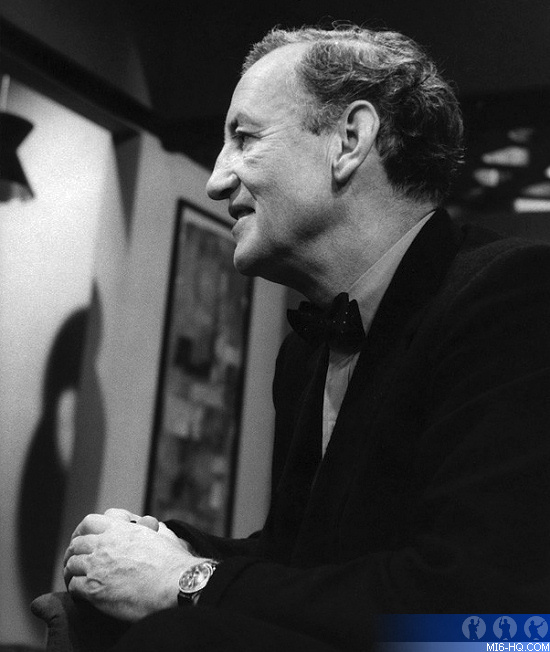 Ian Fleming's World War II service as assistant to the Director of Naval Intelligence in London granted him a wealth of experience in the world of espionage, on which he drew when writing his novels. Fleming published fourteen James Bond titles and lived to witness their enormous success in print and on film. His cultural legacy has thrived for over fifty years, as millions of readers worldwide continue to discover and enjoy his work. Dynamite plans to launch its first James Bond comic books in 2015, soliciting periodical issues in Diamond Comic Distributors' Previews catalog, the premiere source of merchandise for the comic book specialty market. Digital editions will be available simultaneously through such platforms as Comixology, Dynamite Digital, iVerse, and Dark Horse Digital. Original graphic novels and collections will be released through the comic book specialty market, digital platforms, and numerous book market channels including Amazon, Barnes and Noble, and more.